We all have a ton of things to do, and not enough time to do it. 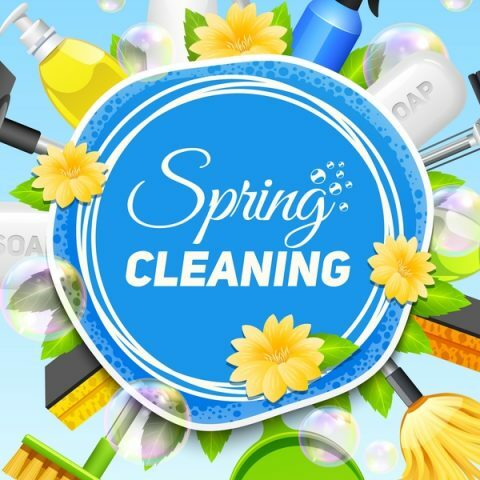 So speed cleaning tips ought to make a welcome difference in all our lives. Thankfully, today’s post is all about those little tips & tricks to help you get your cleaning done faster and more efficiently than ever. 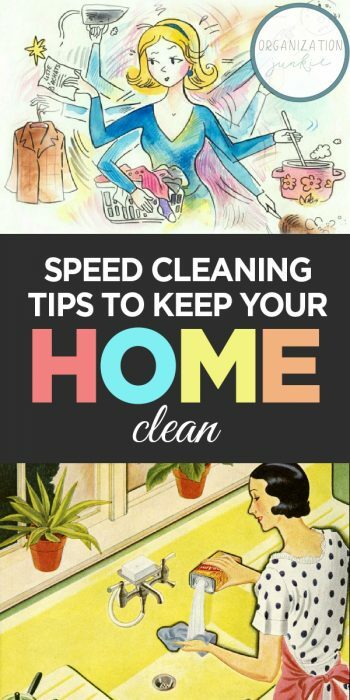 Keep reading to see these speed cleaning tips. You may even set some records! One of the key speed cleaning tips is to stay on top of it. An easy way to do that is to spend a little time each day, rather than a ton of time all at once. It’s pretty easy to do, and just entails cleaning up messes as they occur and returning things to their assigned places. 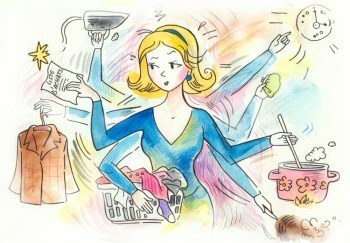 There are also jobs to do daily, like washing the dishes or unloading the dishwasher. If you do a little each day, include one room of the house, or one particular job to accomplish. For example, every Monday you could devote to dusting the entire house. Tuesday could be sweeping the floors in the kitchen and bathrooms. Wednesday might be for vacuuming. Another day, or series of days, is devoted to laundry. I devote Saturdays to thoroughly cleaning the bathrooms. Make a plan that fits your life and then follow through with it. You might prefer to save cleaning mirrors and floors until the end of the week, and then do it all at once. Or you might choose to be flexible with the vacuuming and do it as needed. Whatever works best for you! Keep a bottle of shower cleaner and a squeegee in the shower, and use it daily or every other day to keep on top of the shower. Likewise, keep a bottle of toilet bowl cleaner in the bathroom. Once a week, squirt it around the inside of the bowl and let it sit. Use a basket to collect items that are in the wrong spot, then redistribute them to the proper rooms. Wash the dishes as you dirty them. When you’re in the middle of cooking or baking, fill the sink with hot soapy water. As you finish using measuring cups, spoons, and other tools, toss them in the water to soak. Set a timer and give yourself 10 minutes to tidy up a room. Use cleaning wipes to quickly clean kitchen surfaces–counters, stove top, fridge handles, etc. Put lemon juice into a small bowl and place it in the microwave. Heat on high for 4-5 minutes, then let it sit for 10 or 15 minutes while you do other things. Use paper towels to wipe out the gunk. Roll a lint brush over sofa and chair cushions to pick up lint and pet hair. These speed cleaning tips should be enough to get you started. Stay on top of it and cleaning will be a breeze!